One vendor has this plant for sale.18 members have or want this plant for trade. This sage thrives on neglect. The unusual harsh freeze of 2011 froze my well established, part sun plant to the ground. But it has since produced 3 feet of growth and does not seem to mind that I occasionally overwater it due to the hose spigot being nearby. I also have had 2 volunteers breaking through cracks in a concrete walkway and seemingly living on mere drops of water until I decided to remove the concrete. 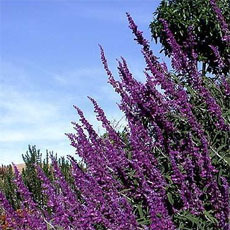 This sage can be seen in full sun with no wind protection throughout El Paso. I think it would take effort to kill it, making this a very beginner-friendly plant. The Silverado variety remains bushy and full and blooms frequently here in North Texas. I love this plant. I planted in the Fall and stopped watering it after it over wintered. It gets sprinkler water once a week and seems to lovetge mminimal effort. So far, so good. I like it. I live in Michigan and hope to bring the tree in the house for the winter. Has anyone had luck doing this? Is very strange that no one has mentioned that the flowers have a very peculiar scent. An alternative name for the plant could be "Stinky Socks"... Fortunately it doesn't spread through the air. Apart this little curiosity, the plant is very ornamental and very sturdy. To the reader in Florida.... I am guessing that you are not getting good results with Texas Sage (Cenizo) because you are trying to grow it in a humid setting in soil that is too rich. 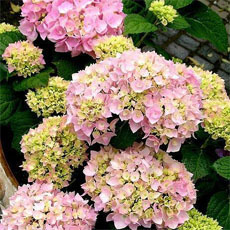 This plant enjoys poor, alkaline soil, relatively dry climate, and very good drainage. It is highly deer resistant, and can withstand the necessary heavy pruning to keep it from getting leggy. Fast grower. Mine, here in south central Texas, get late afternoon shade and almost double their size each year. They bloom after a rain and the bees go crazy for them! The Florida reader might want to replace half the rich soil with sand and try again. Very little water is required, once established. One of those plants that you can kill if given too much kindness! I moved to Florida in February of this year and in March I planted eight of the Texas Sage Trees. For the next three months the trees grew and looked great, but once the rains started a couple of the trees started losing their leaves. One to the point that it was bear. I took it to the Nursery where I bought it but he didn't know much about them. Then three more started going down hill, their leaves became really silvery (almost whitish) and then the leaves started to crumble. The other four that are in the same bed are thriving. They are tall and green, just like the other ones were. The soil conditions are extremely good. We used top soil, Miracle Grow Planting Soil and rototilled it into the ground before planting. They are up in a dirt bed, so they have adequate drainage. Whe... read moren we pulled out the sick ones, the roots looked fine and they were planted correctly. I just can't figure out what went wrong. I hardly ever water them, only in the beginning when we planted them and we hadn't had any rain for weeks. The leaves had little yellow spots on them with a little black spot in the middle of hte yellow spot, before they dried up and crumbled. Does anyone have any suggestions for me? I would hate to lose the other four. They are a magnificient tree and look spectacular when in bloom and mine were in constant bloom. Please help with any suggestions. Can anyone tell me if I can move this plant? I have around 25 of them in front of my screened porch. Thanks. We planted two in the back yard a year ago and they are so pretty, they stayed green and bloomed since we planted them. Blooms seems more profuse in fall. With very little care and in our terrible soil. We are so very pleased with them and are gladly going to plant more. I love our Green Cloud Sage. We have several plants growing in our back and front yards. They are so hearty and they are just beautiful. We see a lot of them planted on the side of the freeway's in Arizona, but they trim them so you don't get to see the beautiful purple flowers. I picked up three of these shrubs at the Cabbage Patch in Clermont about five years ago. I put them in the ground (a little too close to the house and probably too close together--I am not an experienced gardener), and they have survived with no care. They bloom frequently and always look pretty. I want to move them, but I am afraid I will kill them. They look as if they will do well in open places, too. I have no shade, but these have survived extreme sun, drought, and hurricanes while other shrubs have failed. I think I will try moving one to another spot. These plants grow very well here. I haven't planted any so far, but I plan on getting me a few of these bushes to plant along my fence. We have two varieties, one is the silvery grey and the other one is the green leafed varity. I like the silvery grey the best. I transplanted about 20 of these plants last fall. All the leaves have fallen off and I'm wondering when these plants will show growth? They are planted in the native Texas soil for this area and the limbs show color. I think Texas Sage is a wonderful plant. I have visited the Rio Grande valley in a small airplane and the view from the air is amazing, there are areas where whole fields are covered with this plant giving them a soft gray and lavender look that is just lovely. I have one of these plants but the place where I have it doesn't get full sun so it doesn't bloom very well. 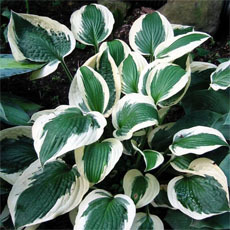 This is a great plant to add color and intrest to a place that does not have easy access to water. It is very drought tolerant and can really take alot of heat. An a+ addition to any garden. I have found that it will bloom when watered and after every rain. We have about 50 of these plants in our landscape. 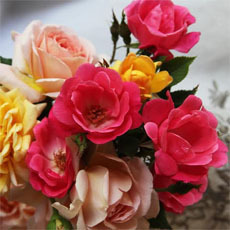 Those that are watered and fertilized bloom often and those that are not bloom only after a rain. I have been able to keep this plant blooming for all of the warm months. It generally blooms on new growth. 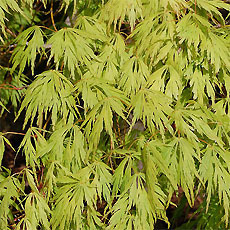 It roots easlly by taking cuttings from the 4 or 5 inches of the tip of each branch. Also known by locals as cenizo, from the dense layer of fine hairs on the leaves and young stems resulting in a silvery gray appearance. Cenizo means ashy. 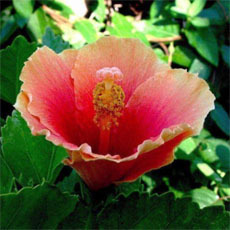 This plant is sensitive to moisture and will bloom shortly after a rain, which gave rise to the name "barometer bush". Some also call it "purple sage". Easily rooted in a medium sand, and can be rooted in a jar of water. It should be pruned in a manner which allows the lower branches to receive plenty of light, to avoid die out of those branches and a woody, leggy appearance. Thus, a slightly pointed shape is desirable. Most common south of a line between Menard and Travis counties. This plant grows wild in Texas and Northern Mexico. 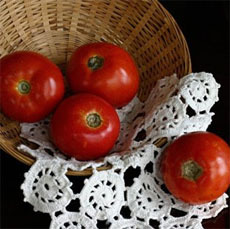 It has been introduced as an ornamental. It is a bee magnet and has trumpet-shaped blooms, causing it to be a hummingbird favorite. It MUST have good drainage, or will perish. 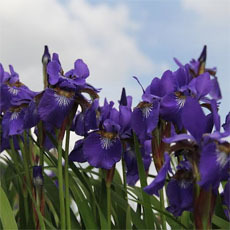 It is very beautiful with velvety silver-gray leaves, and the lavender blooms. One unusual characteristic is that it does not constantly bloom, but predicts coming rain when it blooms. Folklore says that when it blooms, we are in for rain and showers or storms, including possibly hurricanes. 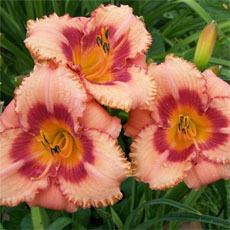 ... read more /> cultivar, Silverado, has a shorter habit, with thicker foliage and heavier bloom than the original wild version. It enjoys the same habitat as prickly pear cactus and mesquite trees. In spanish it is called ceniza, meaning ash, because of the silvery gray color of the leaves. Also known as Texas ranger.